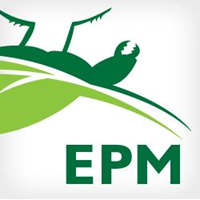 Environmental Pest Management has been serving property management, commercial and residential clients with the highest quality and most effective pest control services since 2003. With more than 25 years of industry experience, president and owner, Jason Carpenter, has built a strong reputation for excellence. Today, Environmental Pest Management is at the forefront of technology, developing more effective strategies against bed bugs and evolving the apartment industry to order pest control services online—which is why they have grown to manage more than 42,000 units for property management clients throughout central Ohio. When it comes to eradicating unwanted pests, Environmental Pest Management goes beyond expectations with the most advanced methods and unparalleled responsive service. Their unique, first-of-its-kind, Online Work Order System allows property management clients to pinpoint levels of infestation using a 3-D image of their structure. Plus, each technician is equipped with iPads and iPhones, enabling them to respond immediately and provide same-day service to solve any pest problem. The latest innovation from Environmental Pest Management is heat remediation for the removal of bed bugs. High-powered heaters raise the temperature between 120 and 140 degrees, the air is circulated to reach the deepest crevices where bed bugs hide, and within a 4- to 6-hour treatment all bed bugs are eliminated—from eggs to adults. This 100% effective method takes only one visit for less downtime, leaves no pesticide residue, and reaches the deepest voids and seams in furniture. Thank you for excellent service and professionalism. You seem to really care about resolving the issue. I contacted Environmental Pest Management on Friday and spoke with Sarah. We were at our wits end--we had a ton of ants and needed help right away. We have been a client of another service and they could not come out till Tuesday to handle our problem. On short notice Environmental Pest Management came to our rescue. Chris was great, he spent over two hours taking care of our problem. Needless to say, we have fired our service of over 20 years and are now a customer of Environmental Pest Management. Thank you so much for being the epitome of FABULOUS customer service. Thank you Rebecca! Your review is so meaningful. Thank you for taking the time to recognize Sarah & Chris! I am so glad Sarah recognized your dilemma, moved some stops around, and found Chris who was willing to work late. Our vision is to create an exceptional experience, every time! I am so proud of our team for doing just that! Thank you for your business! Environmental Pest Management came out promptly and were very helpful in taking care of my ant problem. I was very pleased with their service. The ant treatment provided worked very well with no more tiny ants seen. Wonderful to hear! Sometimes those pesky ants can be challenging. So happy that you followed up to let us know that Kyles treatment was thorough and you are 100% satisfied. Please let us know if we can help you in the future! The scheduling team is wonderful! They are always able to fit us in ASAP and the employees that show up to the job are so punctual! Wonderful staff who do thorough work! Would always recommend!!! Awwww ~ Thank you!!!! We greatly appreciate your feedback. You are a breeze to work with! Always on time. Always professional. Very pleased with service! EPM did a great job of eliminating a rodent problem in our house. It was a huge help. We had a baby in the house and so getting this problem handled was very important to us. EPM resolved the issue completely and their technician never even woke the baby. Thank you Nick! We GREATLY appreciate you allowing us to resolve your concerns. Please let us know how we can help you in the future! Zack did a great job! We have been using EPM for 2 years now and they do a great job. Molly is an awesome technician who is very detailed and knowledgeable. Our services went well. We appreciate him being here on time, and getting things done in a timely fashion. Tyler Nelson has done a superb job in taking care of our rodent problem. He is so knowledgeable and informs us daily on his progress. He’s a true asset to your organization . Williamsburg Sq. Apts - First Eq. I enjoy everytime the Guys comes here. they are always very professional and prompt. Excellent, professional employees and service. I am very pleased with the service we received. Our technician was extremely friendly and knowledgeable and didn't mind answering all my silly questions. We will be using EPM if we have future needs! Tyler came out in search of fixing a rodent issue we've had... looking around the entire house, checking for a possible mouse entry point. After a detailed search, he found the entry point, identified the area, and offered to seal up the hole the next day. Instead of just placing bait stations around and seeing what happens, he found a solution to the issue and gave us the peace of mind that our issue has taken a real step towards resolution. We are MOUSE FREE thanks to Tyler from Environmental Pest Management (Westerville) & my friend who strongly recommended him to us! This guy is a Super Hero! Call him for any pest management needs - he knows EXACTLY what he"s doing & works quickly (& humanely)! We could not believe how knowledable, professional, and most of all, EFFICIENT Tyler was in finding the places where mice were coming in & completely ridding our space of them! All guaranteed! 🐭🎉🏆. The tech was professional and friendly. Explained everything and allowed me to follow him to see what he was doing.😊. Fast , friendly and professional service! Zack - Did a Pest spraying for our home in Hilliard, Ohio. He was very professional, detail oriented and pleasant. I would truly use their services again. I love having someone in our home whom.takes the time and effort to explain all the details. Zack, you deserve a special award because you dud a job well done. We will be calling you for any pest concerns we have and I will be passing the word around to ally friends, family and Co workers. Thank you and happy holidays to you and yours. The Landers Family. Technician was great, took the time to look through the whole house. Appreciate the efforts. Thank you. Old Mill Lakes - Bellows & Assoc. Very happy with our service. We have bi-weekly service and they are always pleasurable and easy to work with. Matthew was here last, and he is awesome to work with! He is helpful and informative. Thanks! I've been through the bed bug experience in the past(several years ago), so I am painfully aware of how hard they are to get rid of. Having to pack up your stuff as if you were moving out is a tremendous pain in the arse, but I know that if you don't, you probably won't be successful in eliminating them. This was my first time employing this particular exterminator. After I made the preparations, Environmental Pest Management eliminated my bed bugs in one fell swoop for 2/3 the price I've paid other exterminators in the past. This was my 3rd time having bed bugs over the years, & was definitely the least nightmarish. My 2 prior experiences left me paranoid to the point that for months afterward, I was occasionally having psychosomatic itching that that made me afraid I might still have bed bugs (when I really didn't). Keep in mind, it's not your run-of-the-mill itch, but a feeling that there's something crawling in circles on your skin. Creepy! But I digress. My point is that just 2 weeks after treatment, I'm 99.9% confident that they are gone, having been eliminated in one day. I once again have peace of mind. Thanks, Environmental Pest Management! I am always pleased with the progress that you make at our community. Your guys are very pleasant and know what they are doing. They keep us posted on what they have found and if the resident will need any follow up treatments. I have been here for almost five years and don't have a complaint. "ROCK ON EPM". Environmental Pest Management was courteous and professional. Service was provided in a speedy and efficient manner. We are very satisfied with Environmental Pest services. Everything went as Paul told us and thank goodness no more pests in sight! If needed we will use them again. Showed up right on time. He was quick and knowledgeable about my wasp problem! Pleased with promptness and information provided. On time. Very professional. Booties worn in the house. Free estimate exactly that. Would highly recommend. 5-star all the way. Just what we were looking for. Jamie your tech is always very helpful and informative. He does a very good job and works well with my senior tenants. He is a very valuable employee to your company. I have had the same tech now for about a month Matthew Terrell and he has done a great job for us. He is polite always in uniform well groomed and efficient. I would recommend this company to anyone looking for a pest management company. Excellent service. Timely. Tyler was friendly, thorough, and knowledgeable. Everyone at environmental pest management is fabulous and a pleasure to work with !! He was at my house within the scheduled time, very knowledgeable about my bee problem. I was very happy and will use them again. Kyle has always been polite, respectful, thorough and helpful in answering any questions I have had. It is always a pleasure to see him. They arrive on time and explain the treatment they applied.